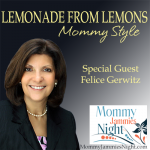 Felice Gerwitz interviews show host, of the Educando en el Hogar Show, Katie Hornor. Katie lives with her husband and family in Mexico and currently is a missionary. She is a author, publisher of a curriculum for Spanish speaking homeschoolers and hosts a twice a month show, in Spanish. Join us for this interview when Felice asks Katie to share about life in Mexico with her family, how she was called to Missionary life as well as the amazing shows upcoming for those who homeschool and are Spanish speaking.